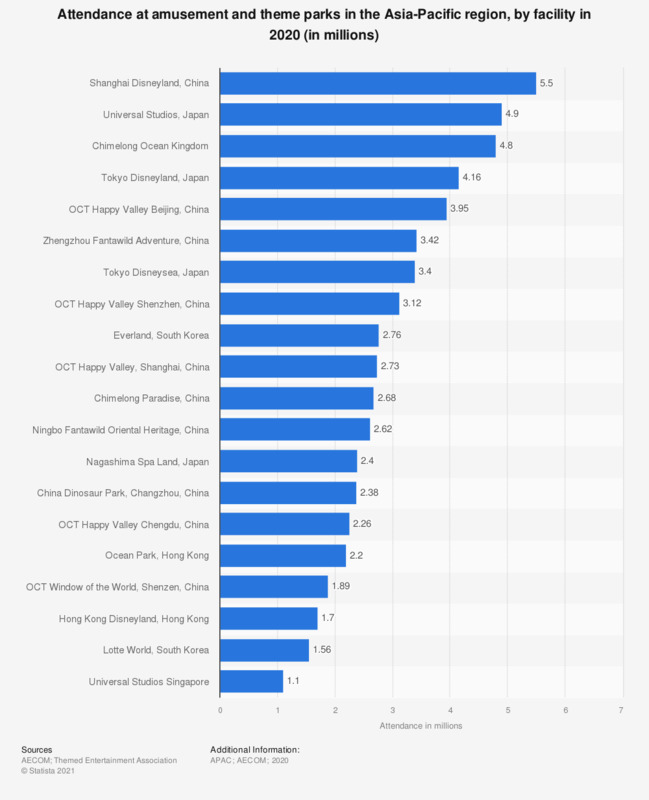 This graph depicts the attendance of the 20 most visited theme and amusement parks in the Asia-Pacific region in 2017. Lotte World in Seoul, South Korea was visited by 6.71 million people in 2017. In 2017, Universal Studios Japan's sister park Universal Studios Hollywood had 9.06 million visitors.